Donna is the Club Director of Red Storm Volleyball. Prior to joining Team Sportsplex full-time in May 2015, Donna served as the Athletic Director for 4 years at The Dunham School where she is also entering her 16th season as the head volleyball coach. As the head coach, she led her 2004 team to a State Runner-Up finish and her 2005 team to a State Championship, both in Division V. All of her teams have qualified for the state playoffs each season. She has been named District Coach of the Year 6 times, Metro Coach of the Year once and Division V Coach of the Year once. Donna was also privileged to coach the West All-Star team in the summer of 2006. She has also been actively involved in club volleyball in Louisiana since 1998. In 2002, she was the head coach of a 15 & under team that won a USAV National Championship for Volleyball Baton Rouge. 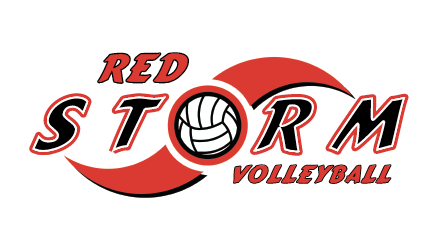 In 2004, Donna started Red Storm Volleyball with only one team. Today the club has 16 teams, 5 Youth Developmental Teams and is proud to call Team Sportsplex home. Donna played at Samford University in Birmingham, Alabama and was a 4-year starter as a setter. With over 4,000 career assists, she held the school record for a number of years. At Samford she was named to the All-Academic All-Conference team 3 times and was a member of several national honor societies. Donna Pixley is also the Director of Operations at Team Sportsplex. Matt has served as the assistant volleyball coach at the University Lab School from the Fall of 2012 - Fall of 2014 at which time he took on the head coaching position at his Alma Mater, St. John High School in Plaquemine. He served as the head coach there for one year before returning to U-High as the Assistant Coach for the 2016 season; he also serves as the Middle School Volleyball Coordinator for U-High. Matt has been coaching in the Baton Rouge area for 12 years, coaching at Fleur De Lis Club and at Red Storm Volleyball where he will be entering his fourth season. Last year, Matt coached one of our two 16s Regional teams but has coached several other age groups as well. Ariel Johnson is entering her second year as a coach for Red Storm. Prior to coaching at Red Storm Ariel has coached club volleyball for two years with the Legendz Sports Academy, Inc. Ariel played volleyball throughout high school and continued to play club volleyball at LSU from 2014-2015. She is a junior at LSU pursuing a degree in Communication Disorders. Ariel coaches the 12s Regional team for the 2015-16 season. Caroline McKey was an all-district, all-metro, and all-state volleyball player at The Dunham School. Caroline recently graduated from Millsaps College in Jackson, MS where she lettered four years in volleyball. Throughout her time at Millsaps, Caroline earned several conference player of the week honors and highlighting her senior year Caroline names Conference Player of the Year. Caroline coached our 15s Elite Black team for the 2015-16 season and led them to a Championship at the Cross Court Classic in 2016. Meagan grew up in a suburb outside of Houston in Katy, Texas and started playing volleyball at the age of 8 at Katy Volleyball Academy. Meagan played competitively on top teams for 8 club seasons as well as playing through two of my high school seasons before quitting due to injury. She immediately began coaching at 16 for three seasons at KVA. She is currently at LSU for school where she got involved with the volleyball community as a freshman. Meagan has coached three seasons and four teams with Louisiana Volleyball and two seasons as the freshman and assistant coach at Parkview Baptist. She is entering her second season with Red Storm. Meagan coached the 14s Elite team for the 2015 - 16 club season. Kelsi Moore is entering into her 5th season as a coach at Red Storm. She has coached multiple age groups and assisted with Youth Developmental during her time with the club. Kelsi was an assistant for all 3 University High volleyball teams from 2012-2014. Kelsi is a graduate of the wonderful Louisiana State University, is recently married and has an adorable Pomeranian, Beau. Kelsi coached one of our two 13s Elite teams for the 2015-16 season. Brent began his coaching career at The Dunham School in 2008, where he has served as the head coach for eighth grade and freshman and assistant coach for Junior Varsity and Varsity. He is entering his fourth season at Red Storm.